That’s one of the main conclusions drawn by a Bipartisan Policy Center report covering a series of roundtable discussions among county officials and state legislators over the past two years. Participants believed partisanship in Washington, D.C. has prevented Congress from making progress reforming immigration laws, and expressed a unanimous agreement that Congress needs to a create simple, fair and efficient immigration system. They also do not want to see federal funding tied to cooperation with Immigration and Customs Enforcement orders that could put them in legal jeopardy or want to be made to enforce civil immigration laws. 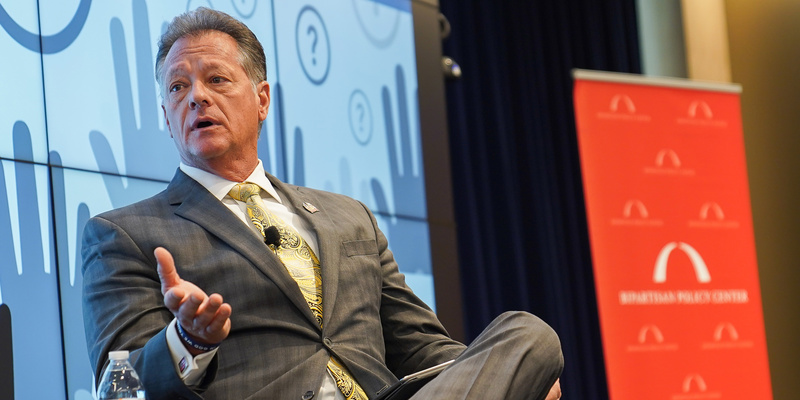 “We’re asking the federal government to cooperate, have adult conversations and set policy that makes sense,” said Bill Truex, a Charlotte County, Fla. commissioner and a member of NACo’s Immigration Task Force. He spoke at a briefing on the report’s findings March 25 at the NACo/NLC Joint Conference Center in Washington, D.C. The report’s conclusions were drawn from four roundtable discussions held over 2017 and 2018 with members of the National Association of Counties and the National Conference of State Legislatures representing a variety of geographic areas and political positions. The debate over federal immigration reform has been brewing for most of the past two decades, and Susan Parnas Frederick, senior federal affairs counsel at the National Conference of State Legislatures, said she has experienced a constant sense of urgency over that time to get something done. Participants agreed that immigration was key for the workforce and employers, not just in agriculture but also in hospitality and the STEM fields. Many found that immigration was critical for replenishing population, especially in areas with aging residents who were no longer part of the workforce. The Bipartisan Policy Center hoped to see if there was room for agreement on future immigration reform, said Cris Ramόn, the policy analyst and author of the report. Political polarization came up as the biggest threat to legislative progress on several levels. Participants “struggle with polarization over immigration that you’ve been seeing at the national level filtering down to the state and local level, frequently what they said what they felt they had to take stands on immigration issues due to pressure from outside advocacy groups from both the left and the right, that made it hard to forge agreements with individuals across the aisle,” he said. They also reported being worried that constituents were getting news from polarized national news sources instead of local news sources that had more nuance and understanding about immigration in their communities. Truex said that local resistance to immigration in Charlotte County, Fla. comes from concern from retirees on fixed income that their tax dollars are being spent on services to aid immigrants. The local immigrant population, however, lives in neighboring counties, though they often work in Charlotte County. “I hear people say that immigrants come here and they take U.S. citizens’ jobs and work for less money,” he said. “What I see is that they have a strong work ethic. The people I talk to … can’t find U.S. workers so they’re paying market rate,” to immigrants. In the absence of federal legislation, states are passing immigration legislation themselves. So far, 13 states have passed 21 bills affecting refugees, Frederick said. On the local level, Truex sees the political will to advocate for federal legislation and the rational, but quiet, majority. It’s not enough to just understand the issues, Truex said, but advocates of immigration reform must make themselves heard.